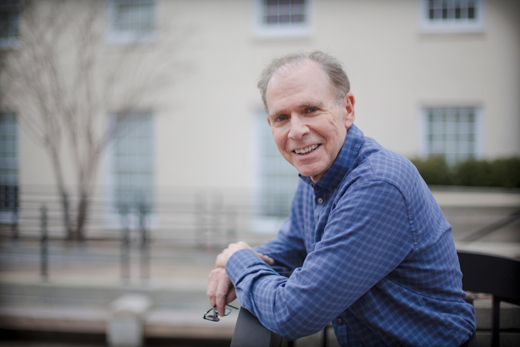 Robert Agnew, Samuel Candler Dobbs Professor of Sociology, recently won the American Society of Criminology’s highest honor for his pioneering work on the causes of crime. The American Society of Criminology is the leading organization for academic and research criminologists. Agnew received its 2015 Edwin H. Sutherland Award (generally considered the lifetime achievement award in criminology) for his work in the field, particularly his development of General Strain Theory — one of the leading explanations of crime and its causes. General Strain Theory (GST) states that certain strains or stressors, such as economic problems and peer abuse, increase the likelihood of crime. These strains create negative emotions, including anger and frustration. Individuals sometimes cope with these strains and negative emotions through crime as a way to reduce or escape from them. Examples include crimes such as theft to obtain money; revenge against the source of strain or related targets (such as assaulting abusive peers); or use and abuse of illicit drugs to alleviate negative emotions. Agnew, who served as president of the American Society of Criminology in 2012-2013, is currently working on a book exploring the social consequences of climate change, including the effects of climate change on crime. In this interview, Agnew explains the basics of GST and why climate change is the greatest threat of our time. What are the major causes of crime in General Strain Theory? GST does not state that all strains or stressors increase crime, only some do. Those strains most likely to increase crime have several features. Among other things, they are high in magnitude, seen as unjust, associated with low social control, and readily resolved through crime. Let me give an example. Many professors face a good deal of strain; they work long hours, their research papers are rejected, and their grant applications are denied. But these strains typically do not lead to crime, partly because they are associated with high social control. These professors have prestigious jobs and they have worked very hard for a good many years to get these jobs. So they have much to lose by engaging in crime. But other strains do increase the likelihood of crime. These strains include parental rejection, child abuse, abusive peer relations, severe economic problems including chronic unemployment, criminal victimization, homelessness, discrimination and the inability to achieve certain goals. I detail and explain all of these strains in my book, “Pressured Into Crime: An Overview of General Strain Theory” (Oxford, 2006). Not everyone who experiences something like a violent childhood or poverty reacts to that strain with crime. Does your research indicate what factors account for this? Most people do not cope with strains through crime; they cope in a legal manner. For example, they cope with economic problems by cutting back on expenses, working longer hours or borrowing money from others. Criminal coping is more likely when people lack the ability to cope in a legal manner. For example, they lack problem-solving skills and have no one they can turn to for support. Criminal coping is more likely when the costs of crime are low. For example, people are in environments where the likelihood of being sanctioned for crime is low and they have little to lose if sanctioned. And criminal coping is more likely when people are disposed to crime. For example, they believe that violence is justified if you are insulted, they associate with others who encourage criminal coping, and their personalities are such that they are quick to anger and tend to act without thinking. You have argued that climate change is likely to become one of the major drivers of crime. How would that work? Climate change will impact most of the leading causes of crime. It will increase strain, reduce social control, weaken social support, foster beliefs favorable to crime, contribute to traits conducive to crime, increase certain opportunities for crime, and create social conflict. Climate change will increase exposure to strains, including extreme weather events (such as heat waves, flooding, droughts), food and freshwater shortages, the loss of livelihood, health problems, forced migration, poverty and inequality, and exposure to armed conflict. We are already starting to see many of these effects, and research suggests that these strains will increase the likelihood of crime. I plan to further examine the negative social effects of climate change, including the effects on crime, in a book project. Indeed, I feel a special obligation to do so. I have no doubt that climate change is the greatest threat to confront humanity, with the lives and well-being of billions at stake, especially the poor and those in developing countries.